This past Sunday, Trish and I went LIVE on facebook to draw the winners for the Project QULITING Craving Chocolate Challenge. 87 amazing quilts were made during the week of the challenge and it blew us all away! If you haven’t checked it out yet – head over to Laura’s instagram account and look over all the incredible detail in this piece! I’m blown away! Congratulations! 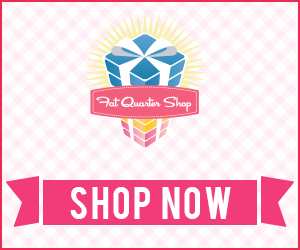 The first prize drawn will come from our Ultimate Weekly Sponsor – the Fat Quarter Shop! A few weeks ago I took a class from Jen Carlton Bailley of Betty Crockerass. It was a great class with lots of curve sewing! She’s created templates that help make this a fairly painless process. She generously gave me a set of four templates to make blocks ranging from 5-inch (finished ) to 2-inch (finished) to give away for Project QUILTING! Pamela Quilts – set of three charm square table runner pdf patterns with charm pack! Congratulations to Sarah Goer Quilts! Sarah Goer Quilts has donated 2 PDF Patterns to one lucky winner! Congratulations to Holly Carpenter! Aurifil mini spool set *not necessarily the one pictured here* My favorite thread! Congratulations to Passing Precious Time!!! ThermOWeb is giving one lucky winner a $20 Gift Card + free shipping! Maywood Studio has donated a Mango Tango Table Runner Pod! I love how these bright fabrics look together!!!! A copy of Color Girl Quilts Pattern “Fly Over”! Congratulations to Becca’s Quilting Fun! $40 worth of patterns from Powered by Quilting! Congratulations andort! I just think these are adorable so I’m giving a different one away each challenge. Congratulations to “My Quilty Musings”! I found a good deal and thought this would be a fun little prize set. Don’t be surprised if I throw a few extra goodies in with them! Congratulations to Carla of Creatin’ in the Sticks!